So, basically, make an alignment system. Or describe one you like and how you like it. Remember that the idea is not to fully describe anything, but rather to create a model that approximates the desired thing well enough to be useful in some fashion. For those familiar with alignment systems, go, do this thing, for those who want a bit more detail, read on. 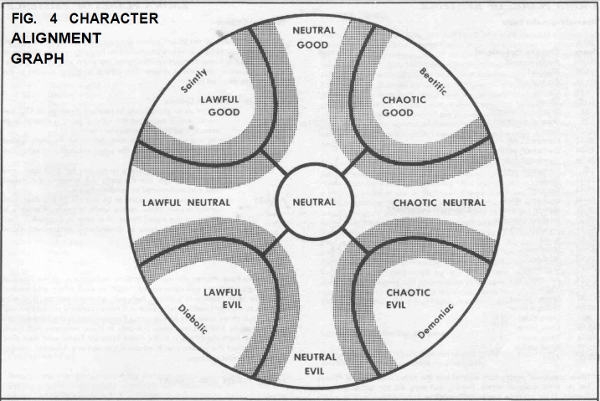 Dungeons and Dragons, which the above chart is taken from, says that alignment describes ethos. Ethos is an ancient Greek word and it’s a very important one. It’s one of Aristotle three modes of argument; it’s what gives us words like ethical and ethics. It means “character”. Not character in a play, or character in an RPG, but who a person IS. An alignment system is supposed to describe that ethos in a way that is simultaneously simple and complex enough to be useful. If it’s too simple then it won’t really describe, if it’s too complex it might describe stunningly but it won’t be terribly useful as any kind of shorthand. The two most obvious are probably the ones that DnD uses. Let us start there. Good vs. Evil is a very old system of thought, though what constitutes good and evil is subject to variation and change. Lawful gives us our first wrinkle in things. One might construct a Lawful axis as going from completely following the law always, to completely disregarding the law. That would go from Lawful to Neutral. DnD instead extends it passed Neutral to completely hostile to the very idea of law and order (Chaotic) thus equal and opposite of Lawful. Point being, if you’re making something up, you get to choose the poles of the spectrum. And by no means feel constrained by DnD’s choices. Nate Silver of FiveThirtyEight introduced an alignment system for American politicians that had one axis be conservative-moderate-liberal and the other as populist vs technocrat. I’ve seen a nice role playing game that had selfless vs selfish as its only axis. I’m not sure if the diagram above was my introduction to DnD alignment, there’s some evidence it was, but I could have sworn that there was less internal curves and grey space and more showing of the axes. Regardless, my introduction was a circle, not a square, and I always liked that because the descriptions given didn’t allow one to be pure X without completely disregarding the adjacent positions. Totally committed to lawfulness means you obey the law, be it good or evil, so to become more Good you must become less Lawful. To become more Evil you must also become less Lawful. The way that DnD’s two axes relate is that they share a common center, are at right angles, and it’s impossible to get more than a certain distance (say 100%) from that center. So Chaotic Evil isn’t 100% Chaotic and 100% Evil because (by Pythagoras, blessings be upon his name) that would be about 141.42% away from neutral, impossible. In fact it’s (again, Pythagoras) about 70.71% Chaotic and an equal percent Evil. But it’s possible for two axes to be completely independent of each other, in which case they’d form a square. Or it’s possible for them to be dependent in a non-Pythagorean way. Imagine that we added, “Commitment” to the DnD circle. If you’re 0% committed to your position it doesn’t matter what the position is, so at 0% commitment the alignment circle disappears into a point. If you’re 100% committed then you’ve got the full DnD circle. If you’re 50% committed you’ve got the circle but half as big. What we have is an inverted cone. But, like with lawful, we can extend this beyond indifference. You could be negative 100% committed to a position in which case your ethos is anything but that. Rather than being described by one point on the chart where you are, you freely roam all over the chart except for one part of it. This is silly, but the point was to be able to say that now we’ve got an alignment system that is two cones that meet at the tip, a weird shape indeed. If instead of “commitment” I’d said to add “ends vs. means”, well, that doesn’t interact with the DnD system at all. It’s perpendicular and increasing it (in either direction) from neutral doesn’t change the DnD alignment at all. Regardless of where you stand on ends v.s means you still have the full DnD circle. Instead of a cone you have an alignment cylinder. The point here is that sometimes things interact, sometimes they don’t. If they do, there are various ways they can interact. Once you work out your axes and work out how they (do or don’t) interact you’ve got a fully formed alignment system. But regardless, please do share in the comments. Crap, I forgot to do this last night and there’s an open thread scheduled to go live in about half an hour. Other than that, all is normal. It seems like lately all our writers/artists have been busy with other things, should we put these weekly posts on hold until people are back to doing stuff that would lead them to comment in these threads? With that question asked, I give you your regularly scheduled post. I also have an idea for a thread topic, but I don’t know how interesting it would be to anyone other than myself. 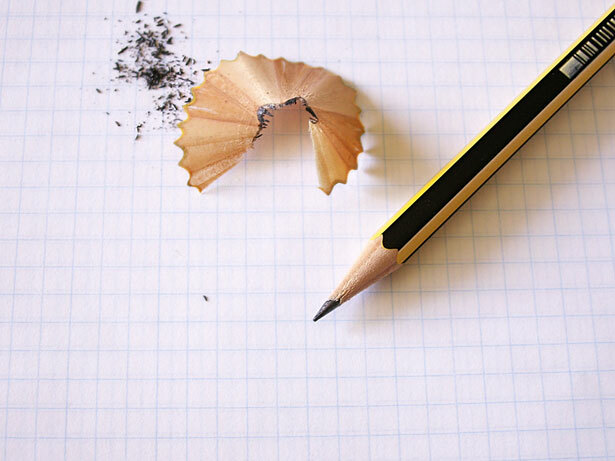 The idea is for participants to write an opening paragraph or two for an adventure story that starts with the words, “I’ll have the salad”, with two caveats. One, it must make sense for the character to order a salad (no, “I’ll have the salad”, said Indiana Jones) and two, it must make sense for the story to start with those words, rather than start at some other point. Just because, I posted Penguin Pictures. I may have linked to these two before, but in case I didn’t, there’s also an account of my son’s Thanksgiving Homecoming and some reflections on my adventures volunteering at a food pantry, or as I call it with a sarcastic jab at nineteenth century piety, Doing Good Works Among the Poor. Another winter storm gave me cause to share pictures of snow on trees. I sort of needed to vent about money so first I made a post about getting the bill from university, actually that was second but nevermind first, third I gave a more clear explanation of what the present situation is. And then there was a short bit where Lucy of Narnia fame met Snarky Bella. The fact that that’s all I have to share kind of drives home how little I did this week. Though I did write an article here and I’ve got four things lined up for next week already. The movie has multiple characters expound on the idea of getting to know someone first, and (mild spoiler I guess) it doesn’t end with a single wedding. 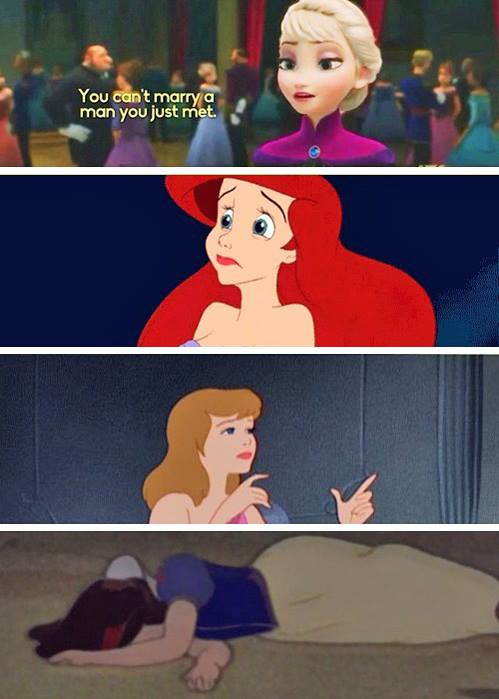 The, “We’ve just met, it’s clearly true love, let’s get married right NOW,” that is so traditional to Disney movies does not appear. Instead it gets taken down. What are some other common things in fiction that you think need someone, say an Elsa, to stand up to them and say, “No. Bad idea,” or at the very least have opposition shown to them? Please comment or e-mail us if we’ve forgotten anybody or you have anyone to add. Or if any links are broken, or if you’re linked to and don’t want to be, or if you’ve found a doorway into another world, or for more or less any reason really.